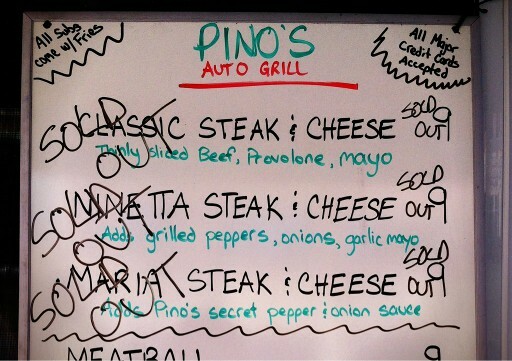 Pino’s Auto Grill is serving Italian cuisine in Montgomery County, MD! They started serving during the first week of March 2012. The menu includes authentic Italian dishes, homemade sauces, pasta and subs. They haven’t tweeted a location since November 2012, so I think they may have retired.